Welcome to the Marjay Inn Hotel, Cyprus! 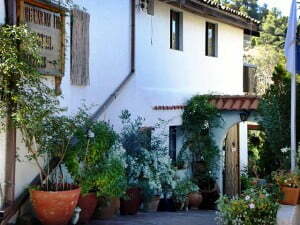 Cyprus Hotels, The Marjay Inn hotel is located in the small Troodos village of Spilia. Hidden in the Troodos Mountains, we offer some of the best walking on the island, the E4 Route is next to our village. Here you can learn about Cyprus Cuisine, and even have a go at Cooking a Cyprus Traditional Dish! Mountain Biking is also very popular in this area. For Walking, Hiking, Bird Watching, Mountain Biking, Cooking, Wine Trails or maybe you just want to slow down and relax. We are one of the smallest Troodos Hotels but by no means small on ensuring you have the best time in the Troodos area.